I am about to embark on a Krell KSA-200S Class-A Amplifier Repair and Restoration, in this case for a very good friend of mine. 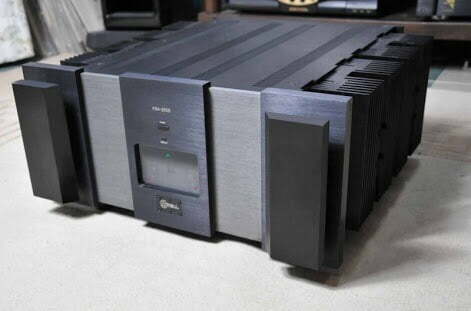 As many of you will know, the Krell KSA-200S is a beast of an amplifier, up there with the very best products Krell ever made. It is almost unliftable by one person, being hewn from solid slabs of steel and aluminium. Consider for a moment that this nominally 200 watts per channel amplifier contains a 2,000VA mains transformer and weighs the best part of 50kg! You really get a sense of the term ‘overbuilt’ and the way that Krell approached the engineering of their amplifiers in the 80’s and 90’s, when you look at and try to move one of these monsters. 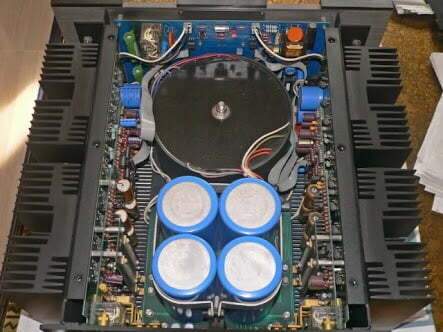 Description: solid-state stereo power amplifier with “Sustained Plateau” output-stage biasing. Power output: 200Wpc into 8 ohms, 400Wpc into 4 ohms, 800Wpc into 2 ohms, 1600Wpc into 1 ohm, one channel driven (all power outputs equivalent to 23dBW). Damping factor: 80. THD: 0.1% at 1kHz, 0.2–0.5% at 20kHz, at full power. Dimensions: 19″ W by 8.5″ H by 21″ D.
Price: $7500 (1994); no longer available (2007). Approximate number of dealers: 55. Warranty: 5 years parts and labor, limited transferable. Manufacturer: Krell Industries, 45 Connair Drive, Orange, CT 06477. Could be time Fitz…Lets rebuild this beast! 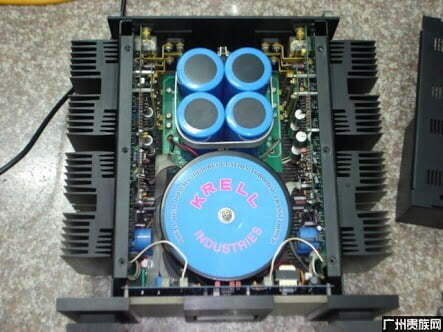 Would you know how to adjust the DC Offset for the Krell Power Amps (MDA 300)? Hi Tony, it’s usually straightforward on Krell amps, just a trimmer for servo adjustment of each channel. I would need a service manual or actual amp in front of me though to provide detail on MDA300. If unsure or you don’t have precision test gear, definitely do not adjust anything! I’m also about to start the same exercise.. have you managed to find a service manual for this amp?